the Perform Grow Prosper way! We believe that all business can achieve higher performance by focusing on their people. We believe that your people understand that their prosperity is connected to your business performance and growth. We believe that the right people in the right roles, at the right time with the right resources, can propel a business to higher levels of productivity. "Our mission is to create highly productive employees who will drive your business growth"
Are your people high performers? 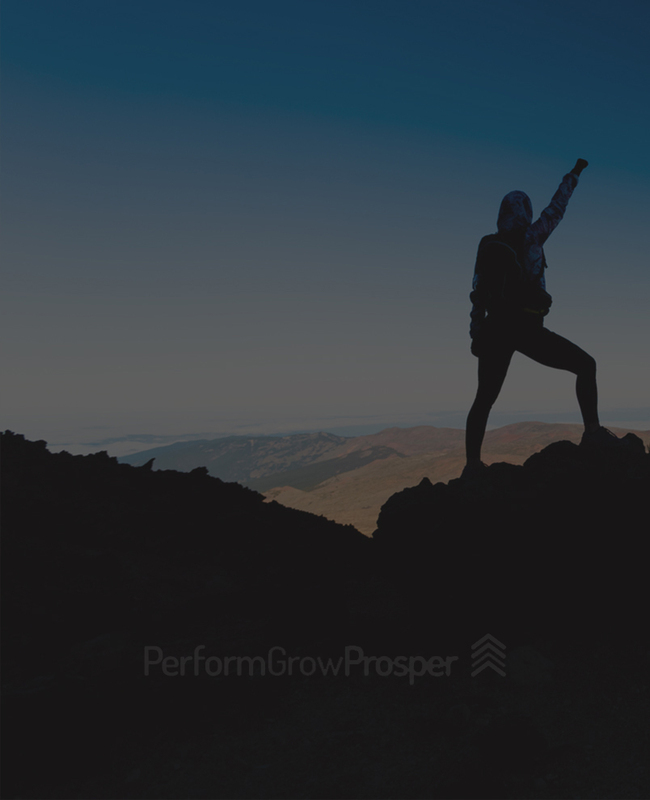 The problem we solve at PerformGrowProsper is business, team or individual underperformance. Through our business growth strategies, we shift underperformance to sustainable higher performance and an improving workplace culture. Sometimes underperformance is as simple as the wrong person doing the role. We use innovative diagnostic tools that helps you identify if you have the right people in the right role. Do your people have the right skills for the role they are doing? Sometime people are promoted into roles that do not match their skill set. We conduct skills audits to compare them to industry standards to ensure you have the right skills in each role. Do your people know their current performance measures, their KPIs? Research tells us that employee motivation and productivity improvement is linked to job role and KPI clarity. We work with you to improve your performance management systems and grow your business. "WE ARE A TEAM OF COACHES WHO SHIFT YOUR PEOPLE to higher levels of performance and productivity." Capability + Capacity + Clarity + Contribution = Higher Performance. - Contribution refers to your people’s ability to suggest the changes required to improve employee performance. At PerformGrowProsper our only focus is improving your business outcomes and profits. We do this by focusing on your workforce and improving your workplace culture. We achieve this by applying our unique 4C method as part of your performance improvement plan. Do you know what a 3% improvement in your people’s performance will do to your bottom line? We do. We have implemented it and seem our clients benefit from it for years. A big part of what we do is around technology. We get to understand your business, assess your current systems and see whatthe best solution for your organise is. One of the questins we ask is: How much money are you losing by not fully understanding your customers? How many systems, programs and lists do you currently have that hold different sets of customer information. We believe that all business can achieve higher performance by focusing on its’ people.